by Thomas D. Smith in 1946, T.D. Smith Transport is now run by son Mike Smith, a number of members of the Smith family and a team of dedicated, long serving staff that we consider our extended family. Over the years we have grown in every way and evolved with the times, combining the knowledge gained from the past 70 years with today's technologies to successfully navigate our business and our customer's requirements. Streamlined, efficient, and organized operations. 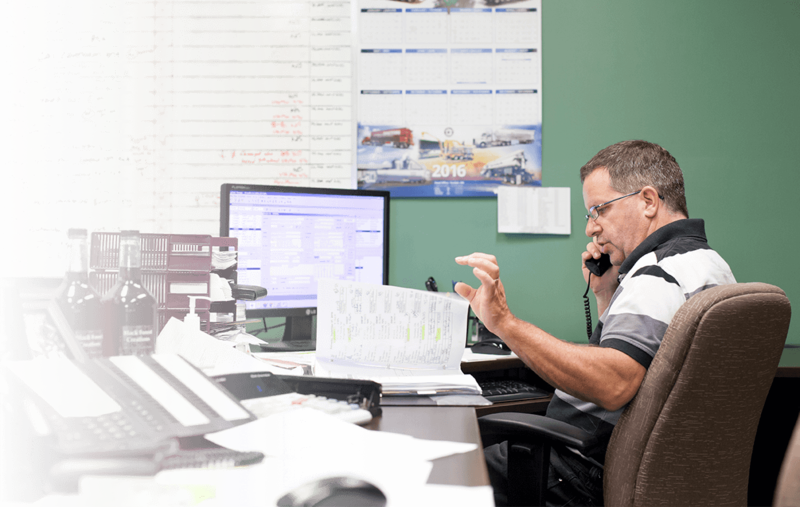 From the front office to the shop floor, you won't find a leaner, cleaner operation. Proprietary, T.D. Smith Technology. We have developed our own advanced technology on our tankers which makes our equipment more streamlined and our deliveries more efficient with less room for errors. Our family. Our staff are our family, and our family comes first. They are our greatest asset and our philosophies can be felt at every level of the company. At T.D. Smith you’ll find that every single person shares our ethos of attention to detail and care of work. Our food grade wash bay is of the highest standard and meets strict Kosher and JPA regulations. We are licensed, certified and knowledgeable in all provinces and states for transporting all over North America. To us, it’s all about doing the job right, with integrity and having the right people on our team. T.D. Smith is proud of our company's active participation as a responsible and caring member of our community. We pride ourselves in our community involvement and doing what we can to make the world a better place.